First, and most importantly, the live moves of the World Chess Championship match will be made available for free to responsible chess websites and other media organizations that take our official broadcast widget. It is fair to say that the furor that followed divided the global chess community. We were asked, “Does Agon have the right to prohibit anyone from broadcasting the moves as they were made?” We believe that we do and that we have a strong legal position. We also have the full support of the World Chess Federation and many others within the game. Agon acknowledges that its actions divided a deep and thriving community, but it still fails to see that the divide is between Agon-FIDE and everyone else, not a divide among the chess community. In fact, I don’t believe that I’ve ever witnessed an online community come together en masse like the chess community did when Agon announced its monopoly. With its restrictive broadcasting agreements and tactics aimed at subverting the established ecosystem, Agon has alienated itself from countless people who care about chess and want to see it grow. Furthermore, to assert that its position is legitimized by a FIDE endorsement is no different than saying that its okay to restrict the games because the Kremlin says so. In addition, those within the game that are often quoted by Agon-FIDE couldn’t care less about broadcast rights for chess. Their names are solidified in the annals of chess history and their view is always from the front row…at the board! What we are doing has never been attempted before in the chess world. It is a revolutionary approach and I am sure we will probably make some mistakes in its implementation before we are finished. Really? It hasn’t? Do they mean that nobody has ever created a chess widget before to cover broadcasted games? How interesting because Chessbase has one and Chessbomb has one that regularly broadcasts live tournament games. This kind of drivel expounds on how little Agon-FIDE really knows about the depths of ingenuity, innovation, and connectedness that exist in the online chess world. 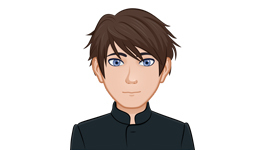 As a veteran of nearly thirty years of computer and network development, I can say that most competent webmasters are reluctant to arbitrarily add external widgets to their platforms. Companies often gain the trust and respect of their customers by demonstrating commitment to that platform’s service before said platform allows their widget or code to be embedded within their framework. For me, I trust Chessbase and Chessbomb because they have earned trust and respect as reputable companies with a legitimate interest in furthering the game of chess. Agon has done nothing but drive a wedge between the chess community and the organization that is supposed to be championing our game. Russian Chess Federation asks the Commission to consider and (if needed) improve and approve the below mentioned amendments to the current system of determining the World Chess Champion at the 87th FIDE Congress (04–14.09.2016 Baku, Azerbaijan). RCF suggests adding an article to the rules governing World Chess Championship matches stating that the World Chess Champion can accept the challenge of any player who can contribute to the prize fund and the costs of holding of the match. • The FIDE President would have the power to veto any proposed match. Any proposed World Championship match would be carried out under the auspices of FIDE and according FIDE rules. • 50% of the prize fund will go to FIDE. • The match must be held before the end of the current FIDE qualifying round, that is, before a challenger has been determined by the Candidates Tournament. Needless to say that many in the world outside of neo-Soviet insanity are unhappy and have launched a petition against the proposed changes. The Association of Chess Professionals issued a response to the Russian request and has launched a campaign to encourage FIDE to reject the proposal. Of course, knowing that Kirsan and Putin are best buddies leaves little hope that the next World Chess Champion could be nothing ore than the man whose country is willing to pay the price for a seat at the board. The Russian Chess Federation submitted an official proposal to the FIDE Congress for an addition to the current World Championship Cycle rules: anyone guaranteeing a required prize-fund can challenge the reigning World Champion. – The World Champion Title must be achieved only through a proper sport cycle, especially at a time when chess is increasingly recognized as a sport. The RCF proposal goes against the chess tradition and against the very spirit of modern chess. Although purchasing the right for the match was common practice 100 years ago, it was more of a sad necessity than a good system. – Staging a “commercial” match would seriously undermine the appeal of the regular cycle match. As things stand, the Title Match is a unique event which is held every two years and which acts as a catalyst for all the chess world. Even so, it is very difficult to raise proper funds for the World Championship Match – we do remember several examples from the recent past and we are witnessing the same problems right now. Who would be interested in paying for the ‘regular match’ if it is no longer a unique event? Who would organize the Candidates under these circumstances? Who would regard chess as a proper sport a company can invest in? – The World Champion Title would be devalued and, more importantly, the image of chess would suffer greatly at all levels and worldwide. It would also put the players on grossly unequal terms: some would have to battle their chances out against the best players of the world in the regular cycle, others would buy their shot at the title by securing the money. This is outright unacceptable. It could also bring a disrepute to our noble game, opening the door to problems we can’t even foresee now. – The RCF proposal would inevitably mess up the World Championship Cycle. It would also limit the World Champion’s participation in other events, as he would need to spend most of his time preparing/recovering after the matches. Again, this is certainly not desirable. The ACP strongly opposes changes to the World Championship Cycle that undermine the very sporting sense and the unique value of the World Chess Champion Title. Our opinion is supported by the results of the ACP Poll – 2016, where over 80% of the chess professionals clearly disapproved the idea of purchasing the rights for the Title Match. If you share our vision, please help fighting this proposal and join the ACP stand by signing and endorsing this statement. The RCF proposal could be approved already in September, and we feel the chess world has to take a clear stand on the matter before then. Ukraine has a secret, and it is the games of Mariya Muzychuk from the Ukrainian Chess Championship in Lviv. The reason? Chinese spies! Mariya Muzychuk is the current Women’s World Chess Champion and will compete to retain her title against challenger Hou Yifan from China in March 2016. The Ukrainian tournament organizers decided to restrict the games from publication because they do not want to provide preparation insight for Hou Yifan prior to the championship match. Many online commentators are drawing parallels to the old Soviet Chess way of doing business in which candidates would compete against powerful chess players without releasing the games or results. This kind of strategy is humorous in that a simple search in Chessbase reveals 1,132 of Mariya’s games spanning almost 18 years! I hope that the games are released after the championship. Although I love Mariya and will cheer her on during the championship, suppressing games to provide a competitive advantage is too iron curtain for my taste. It is no secret that Kirsan Ilyumzhinov loves Russia and its benevolent leader Vladimir Putin. Chess websites and blogs painted the web today with news that the FIDE Candidates Chess Tournament 2016 will be held in Moscow. The winner of the Candidates tournament will face Magnus Carlsen at the World Chess Championship 2016 in the United States. Of course it is no real surprise that the tournament is set for Moscow. The FIDE president has a long history of mingling with some of the world’s most unusual and dangerous people. Okay, so the third one is up for debate but he once tried to arrange a World Championship match in Baghdad and played chess with Gaddafi shortly before the dictator was overthrown by UN and UK forces. Curiously, Ilyumzhinov visited Libya and Iraq both shortly before their downfalls. Now as Vladimir Putin’s Russia continues to take on more aggressive roles in world politics, Ilyumzhinov is once again cozying up to the longtime president. Is Russia making moves to become a major influence in world chess once again? My money is on the revitalization of a Soviet-like chess machine and the return of the Russian Bear. Read more about the 2016 Candidates Tournament on Susan Polgar’s website. 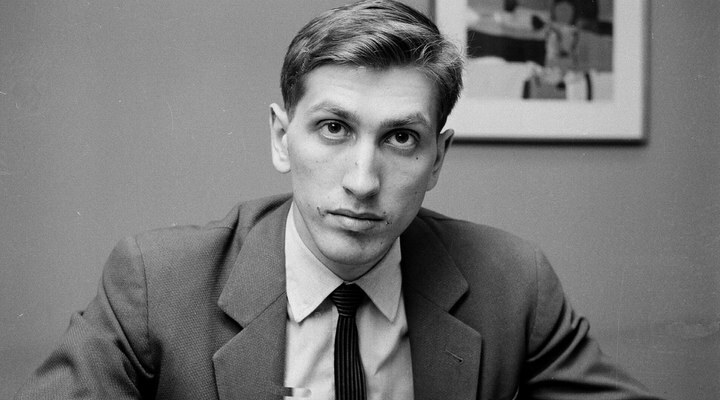 Bobby Fischer was one of those personalities that defies definition. Some have called him a maniac while others have called him a genius. His chess was as beautiful as a Da Vinci painting but his off-the-board antics were the stuff of a public relations manager’s worst nightmare. In his later years Bobby was remembered less for his works of art on the chessboard and more for his often incoherent rants and incessant anti-Semitism. By the time that he passed away in January of 2008 he was living an isolated life in Reykjavik, Iceland where he brought down the Soviet Chess Machine in 1972. Gardar Sverrison is considered to be the only real friend that Bobby had during the final period of his life. Now, Gardar has published a book in Iceland (English edition coming in 2016) that opens up a new window into the world of Bobby Fischer. Instead of focusing on the same tales we have seen in Bobby Fischer Against the World and Pawn Sacrifice, Sverrison dives headfirst into the deep intellectual and emotional motivations that made Bobby Fischer who he was. The rants and unusual behavior was something that the world will always remember but the underlying reasons for why Bobby acted the way he did have always been the stuff of societal conjecture and armchair psychology. Now, readers around the world will have unparalleled access to the psyche of the man who single-handedly changed the face of chess forever. Back on with Bobby Fischer is available for purchase in Icelandic language here. English edition is due out in 2016. Read more about the book, its author and subject on Chessbase.